Recommended Erhu from Chinese Musicians Association Erhu Society. Inherited the styles of a traditional Suzhou Erhu that produces bright yet delicate tones, this Erhu is crafted by Erhu Master Maker, Zhou Hongkun. 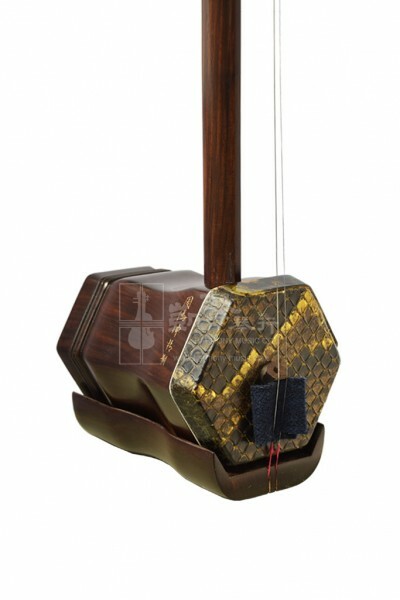 Made out of Fine Aged Rosewood, this Erhu possesses not only the resonant qualities of its material, but also the sweet and pure sounds that are full of inner strength. Gone through precise quality inspection, this Suzhou Aged Rosewood Erhu by Zhou Hongkun comes with a bow, a spare string set and bridge, a rosin and a case. Its smooth hand feel and ease of playing makes this an ideal companion for public performances and for advanced players to develop agility and expression.